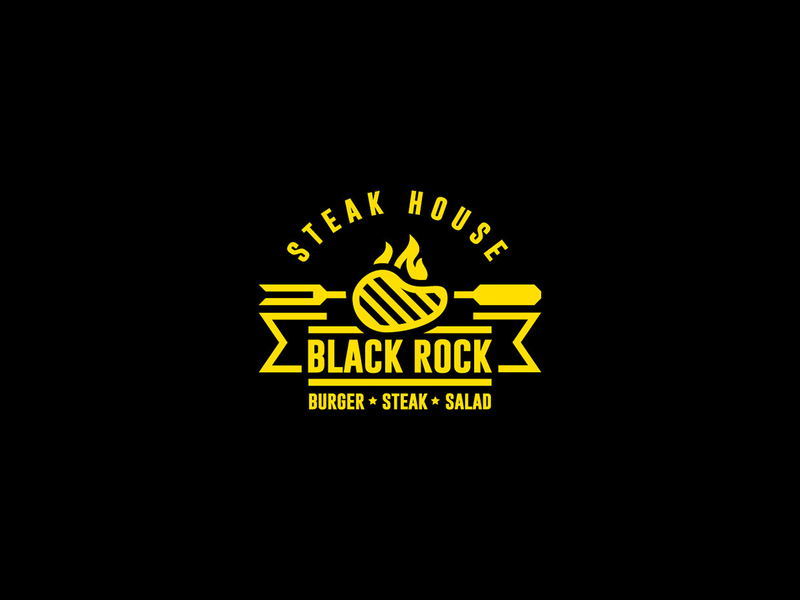 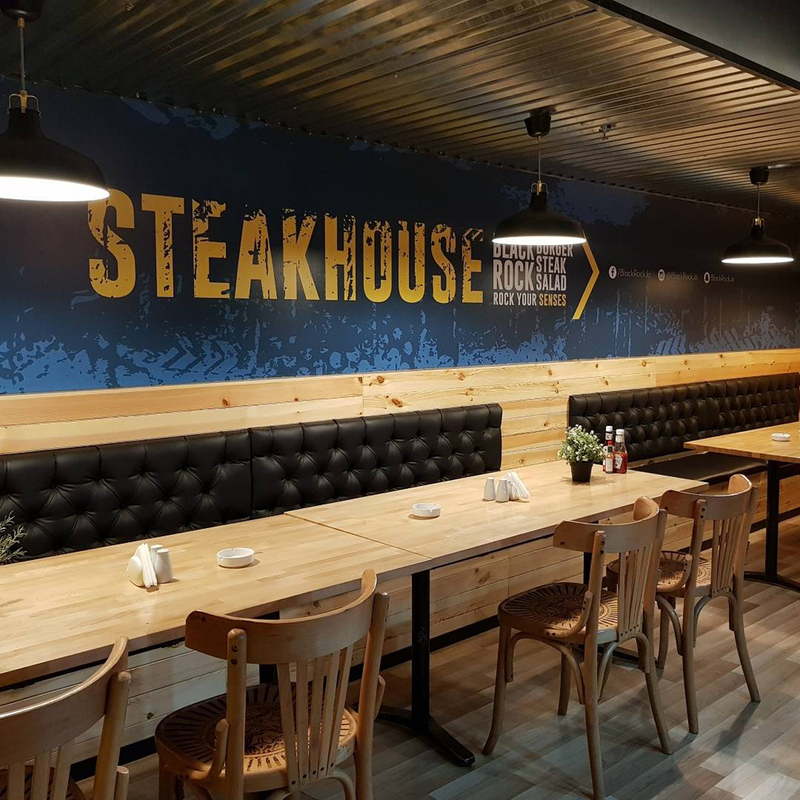 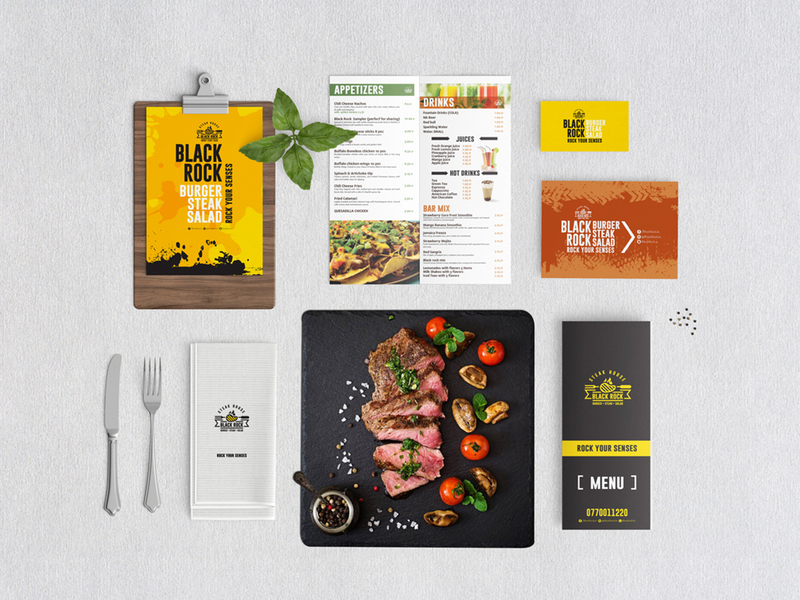 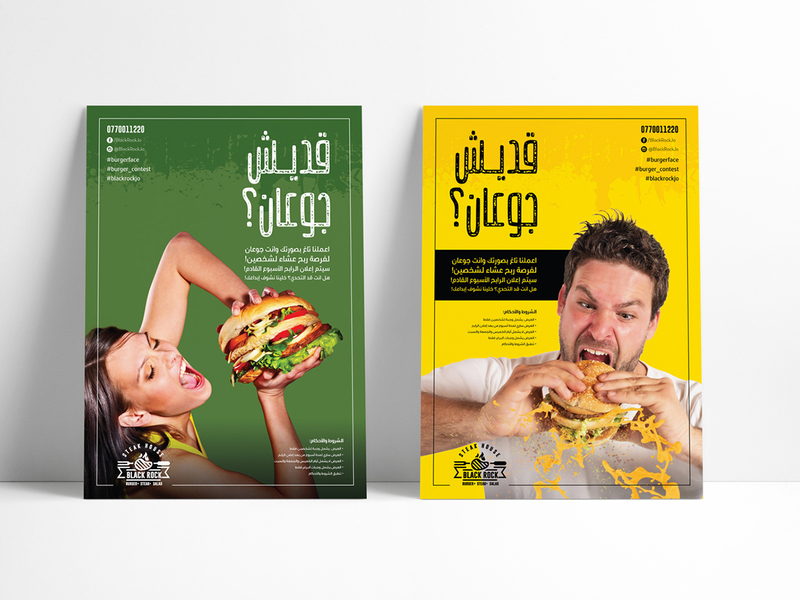 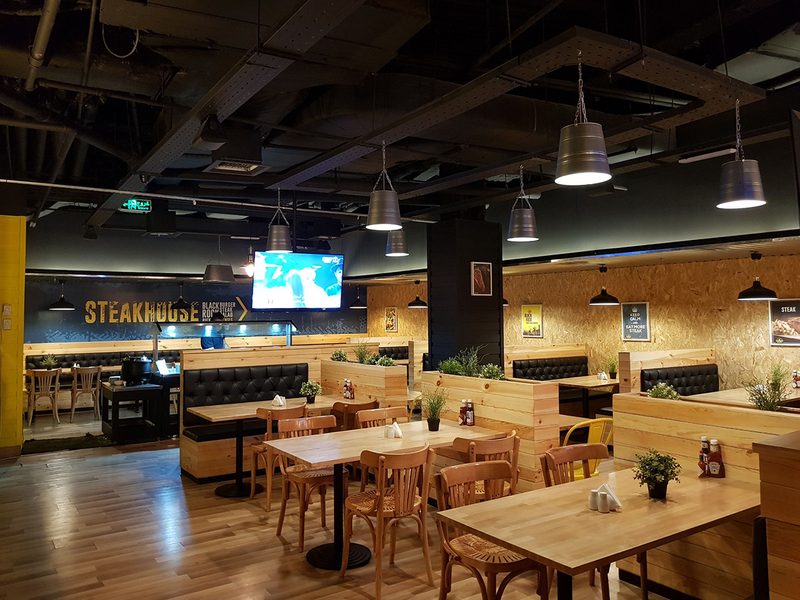 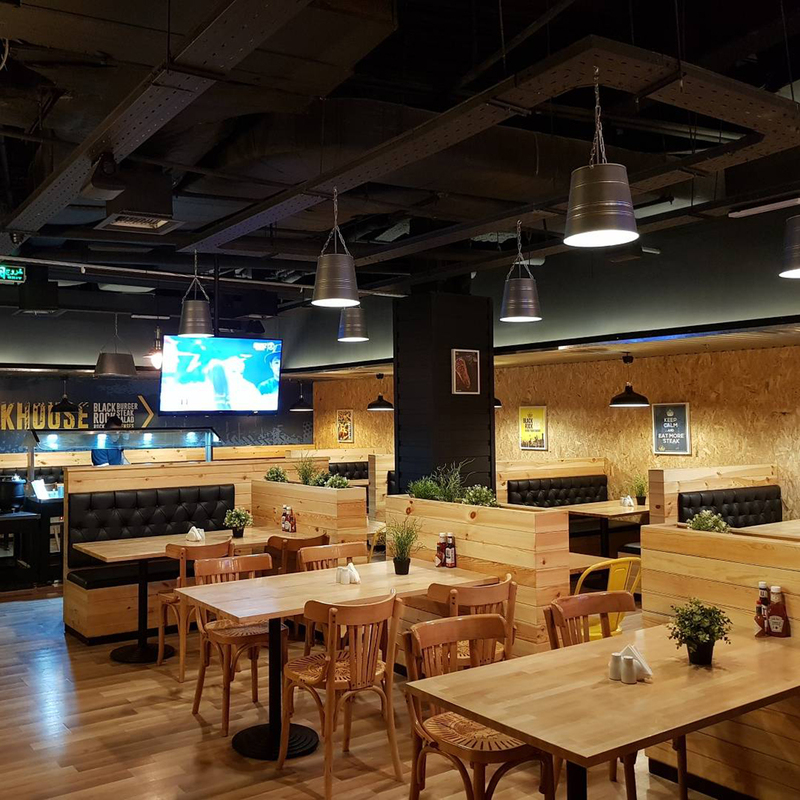 With Black Rock steakhouse we have put together a new interior concept that focuses on its key product and the experience provided as well as reflect the premium quality that the restaurant serves. 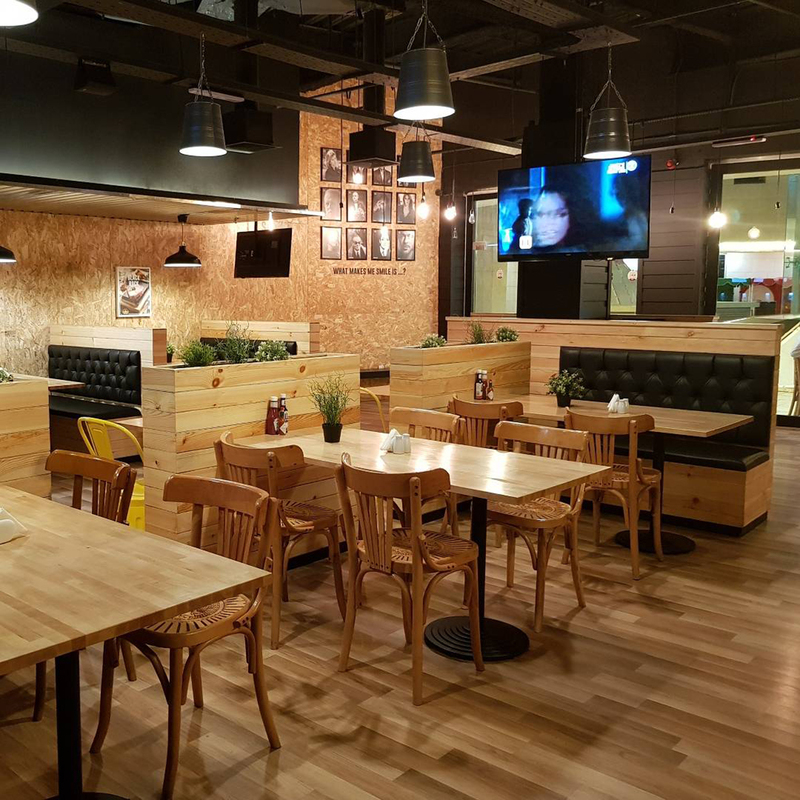 The goal was to provide a qualitative and earthy feel through using OSB Wood and parquet flooring. 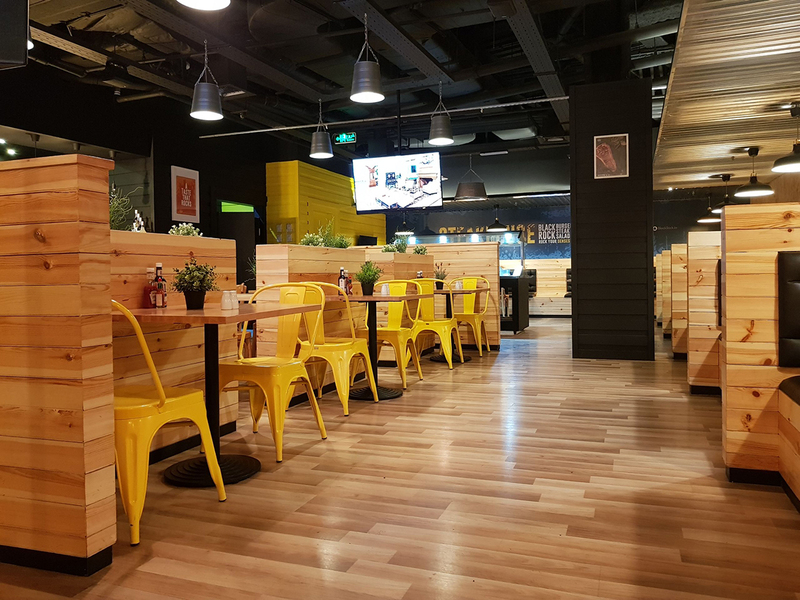 Parallel to the entrance, is the salad bar a fresh and light appearance which is introduced by a dialogue of wooden tables and iconic bright yellow Tolix A Chairs on one side and a balanced black leathered banquette seating arrangements on the other side. 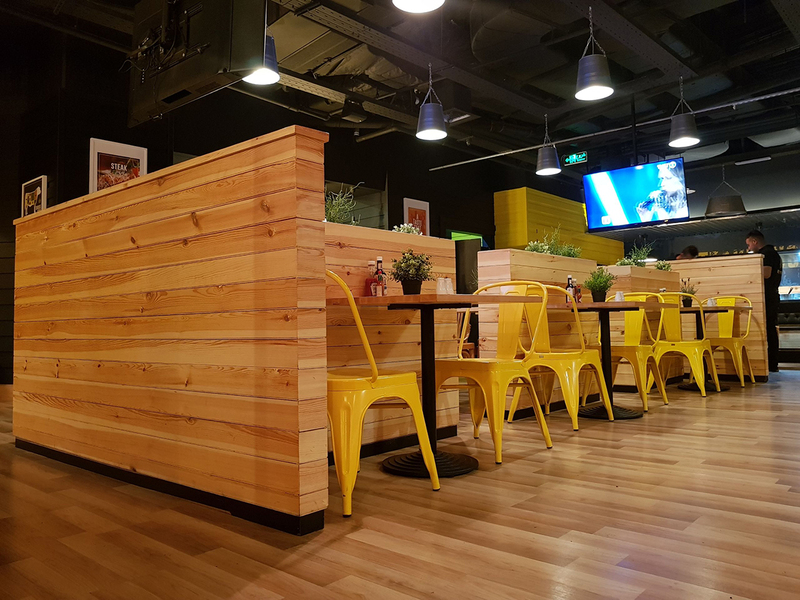 The use of the Zinko Metal touches around the venue gave it an industrial look in a vivid colorful way and was enhanced with the original picture frames and wall writings.